What About Free Bee Removals? "Come and get FREE bees"! "Please come and save the bees or I will spray them". "Do you re-home bees for free"? "But don't you sell the honey"? "But don't you get the bees in payment"? We really appreciate the growing interest and public education in trying to save the bees! We wholeheartedly wish that we could save each and every colony! We often volunteer our time with various non-profits to help encourage education on our pollinators. However, beekeeping often involves risks such as falling (ladders, roofs, etc. ), stings from unmanaged colonies (please see "The Truth About Africanized Bees" and "Urban Beekeeping With Africanized Bees" for more information on the risks of unmanaged colonies). It involves costs such as hive equipment, gas, time, insurance, etc. In addition, many small beekeepers are not getting the fees from pollination which is where most of the profit is in commercial beekeeping. 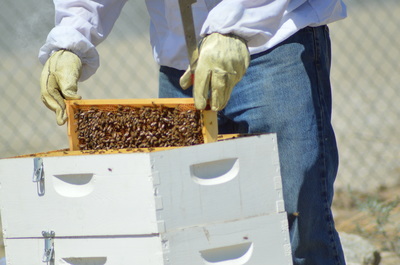 For example, most of our hives are placed for free in various community gardens to help benefit local communities. Thus, most of their income comes from bee removals. The colony we remove from you today may never turn a profit. Why? The cost of the hive equipment and time involve may be lost if the colony decides to leave for "greener" forage. It also takes a year for a colony to make enough honey for a harvest and that is not even guaranteed, especially with drought and dearth. 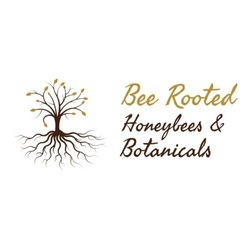 Therefore, by supporting a local beekeeper, you are often helping them to provide more aid to the community in the form of education and pollination. Asking them to remove bees for free is like asking a pest control company, electrician, doctor, plumber, tutor, or any other service oriented company to provide a service for free. Often times, beekeepers will offer discounted services to seniors and low income families, but it is up to each individual beekeeper to offer those discounts as needed on a case by case basis. The question for the one seeking bee removal is... "Is this company following "Live Bee Removal Best Practices" as outlined on our Bee Removal page? What are fair market values for bee removals? Although prices may vary for expert live bee removals that follow "Best Practices", home.costhelper.com gives an unbiased range estimate. Of course, all depends on the complexity, risk, and time that the removal involves. Please, research the beekeeper and their practices before making a decision. For more information on our bee removal services, please visit our "Bee Removal" page.